Generally, the window display seems to tell a dramatic tale of how every item should be worn. But mostly, the display always depicts items beyond what are actually being sold. To grab attention the presentation has to be spectacular and magnificent. With a good display, you can not only envision how well the product would look on you, but you will be drawn through the doors of the store. When talking about aesthetically designed window displays, visual merchandising and retail consultancy, one name that stands out is Saira Fatima Sadozai (of Radical Retail Solutions). Saira Fatima Sadozai accentuates and targets fine points in each of her projects, maintaining quality of craft and creating a masterpiece. 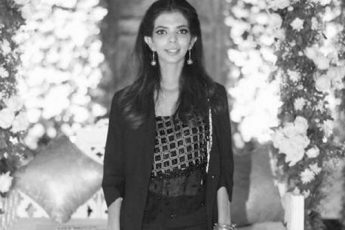 To her accreditation, Sadozai has done windows for Nishat at Centaraus Mall in Islamabad, Gulberg Galleria, Nishat hotel, Leisure club, Kayesria and Working Woman to name a few. A powerhouse of talent Sadozai considers having a right mix of colors that would match the theme of display. She also believes that with the right combination of colours in the display can turn walkers into stoppers ultimately turning them into customers. 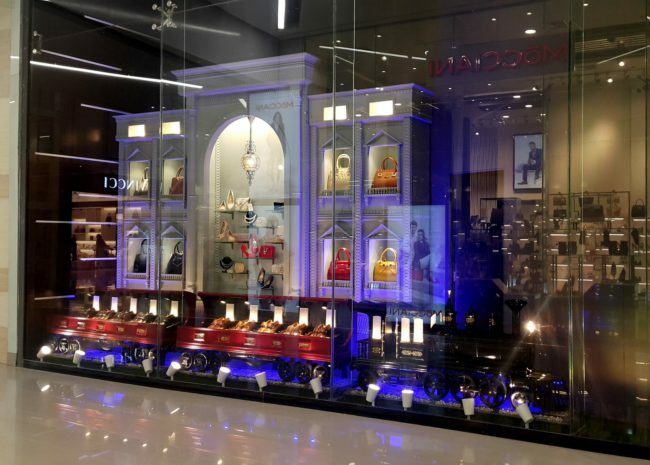 Sadozai further added that theme based displays have always struck a chord with the customers and has eventually paid off. Her window displays have always raised the bar of the brand itself, attracting more shoppers and also becoming a selfie point. 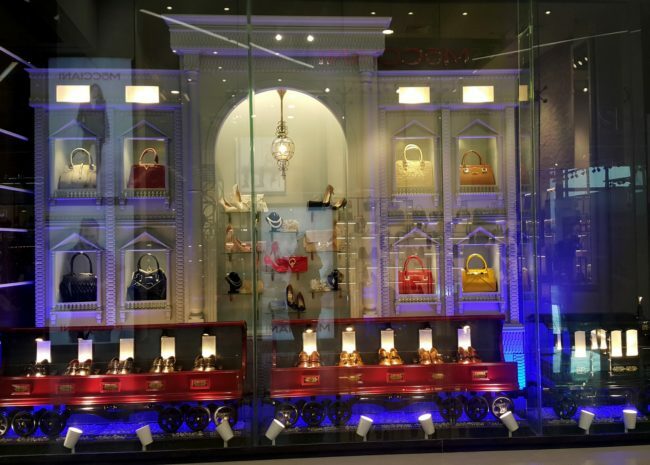 Sadozai being the trendsetter created a benchmark by designing Pakistan’s first ever and one of its kind shoe and bag display for Shoe Box at Emporium Mall. 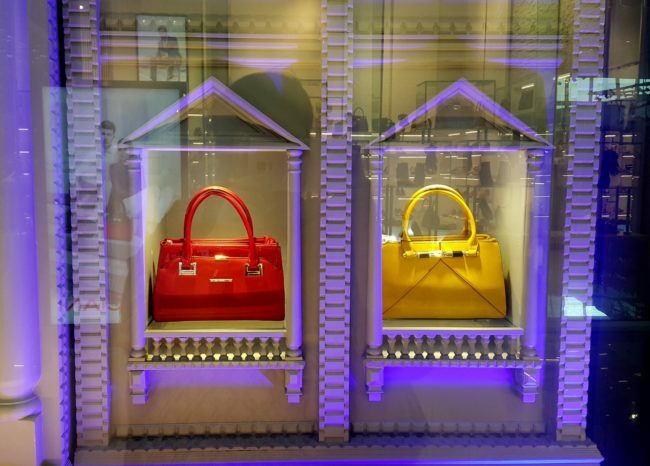 This shows that attractive window display is not just a thing for clothing brands, but innovation in accessory brand display also makes a world of difference. When working on a new project, Sadozai always picks the theme board with the client, furnishing it with her novel and ground breaking aesthetics. For this one in particular, she created a mood board and gathered all the vintage elements. When she brought these elements into play a ‘shoebox express’ came into being. 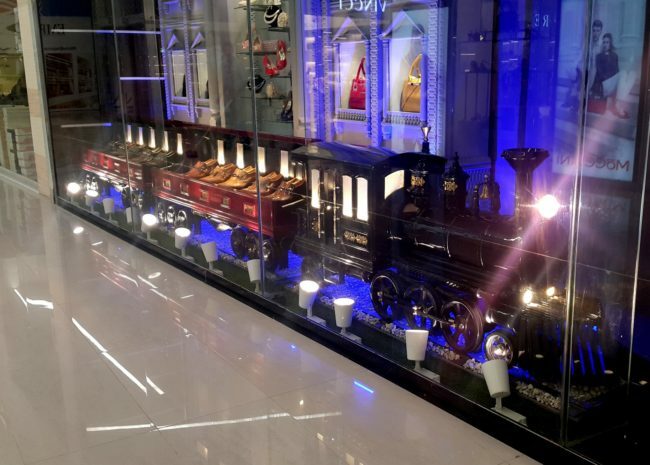 The display as you can see is a metallic vintage locomotive with open compartments displaying the merchandise. The edifice with a central arch has been converted into a fixture for displaying bags and accessories to make them standout. Sadozai being experimental entwines contemporary visual graphics with techno 3D for establishing surrealistic displays. The installation of blue spotlights adds a very wintery and warm feel to the entire display making it high end, rich and clutter free at the same time. Sadozai guarantees you an exceptional end product claiming the rights of integrity to design and creation to her solely, as she does not replicate anything already executed locally or internationally. Even though she has a degree in Fashion Design from PIFD, this trailblazer proves that if you put your heart and mind to something, you can be anything you want.